UC Santa Cruz professor of linguistics Geoffrey K. Pullum will deliver the 40th annual Faculty Research Lecture on Tuesday, February 13, at 8 p.m. in the Music Center Recital Hall. His lecture is titled "Who Pays Any Attention to the Syntax of Things." The event is free and open to the public. Pullum was selected by UCSC faculty members for the prestigious honor in recognition of his "extraordinary research profile," and "dazzling ability to teach and entertain at the same time." Elected as a member of the American Academy of Arts and Sciences in 2003, Pullum has published a dozen books and nearly 200 articles on the scientific study of language. He is coauthor of The Cambridge Grammar of the English Language (2002), the first definitive grammar reference book of standard international English in more than 20 years. The 1842-page book received the Leonard Bloomfield Award in 2003--an honor given every other year by the Linguistic Society of America to the single most important contribution in that period to the discipline of linguistics. Renowned for his sharp wit, as well as his brilliant scholarship, Pullum is also the author of The Great Eskimo Vocabulary Hoax, a highly entertaining collection of satirical essays about the field of linguistics. His most recent book, Far from the Madding Gerund, features an irreverent mix of posts culled from the popular blog Language Log, begun in 2003 by Pullum with Mark Liberman of the University of Pennsylvania. Pullum said he was deeply honored to have been chosen as the speaker for the 40th annual Faculty Research Lecture. "To learn that I was selected for an honor like this by my fellow professors here, people who have known me for a quarter of a century, this was truly a wonderful thing." "UCSC has a huge and well-deserved reputation for the excellence of its faculty research," Pullum added. "To be picked by these colleagues for an honor that involves lecturing the campus at large is humbling and amazing.and also quite delightful, since there are few things I enjoy more than lecturing on the subject to which my teaching and research is devoted." Pullum said his upcoming lecture will provide a glimpse of what those who study English grammar in modern times actually do. He said he would first address "a strange phenomenon" that afflicts the profession of linguistics: the tendency of educated speakers of American English to believe a multitude of things about the grammar of their language that are simply not true, and have never been true. He noted that when linguists attempt to state correctly what is grammatical in Standard English and what is not, they are often met with irritation, disbelief, and the accusation that they are trying to lower standards. "There are scientific techniques for establishing conclusions about what is grammatical and what is not, and I plan to exhibit some of these, and show some of the surprising results and complexities that lurk in the language we all share," he said. 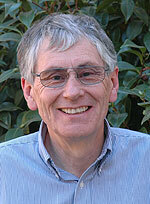 In 2004, Pullum was appointed as Distinguished Professor of Humanities at UCSC. He spent the last year as a Fellow at the Radcliffe Institute for Advanced Study, where he worked to complete his forthcoming book, Model-Theoretic Syntax. Pullum graduated with high honors from the University of York in 1972, and completed his Ph.D. in linguistics at the University of London in 1976.